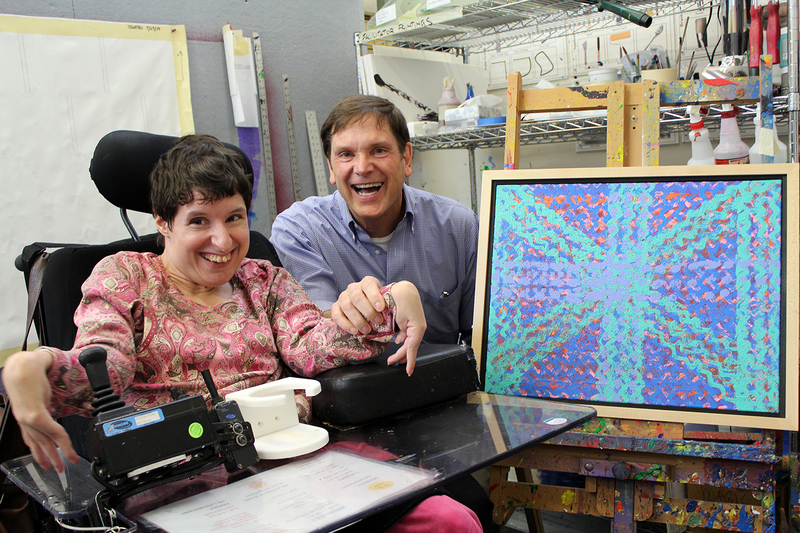 More recently, Peters was reading the Winter 2015 issue of Matheny Matters, Matheny’s newsletter, when he spotted an article about a visit to the Visiting Nurse Association of the Somerset Hills in Basking Ridge, NJ, by two Arts Access artists. At the bottom of the page were images of two Arts Access paintings, “Spiderweb” by Jess Evans and an untitled piece by T.J. Christian. 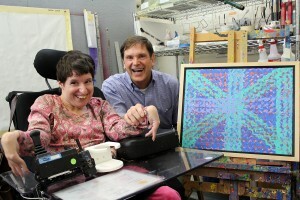 Peters contacted Arts Access and purchased both. Then, when he came to pick up the paintings, he met with both artists, who told Peters they would like to visit his office so they can see their paintings hanging. Plans are already in the works for these visits. Arts Access enables artists with disabilities to create art without boundaries. Tim Peters and Company creates innovative print and software-based programs for the healthcare community. The firm has been on Peapack’s Main Street for more than 30 years. 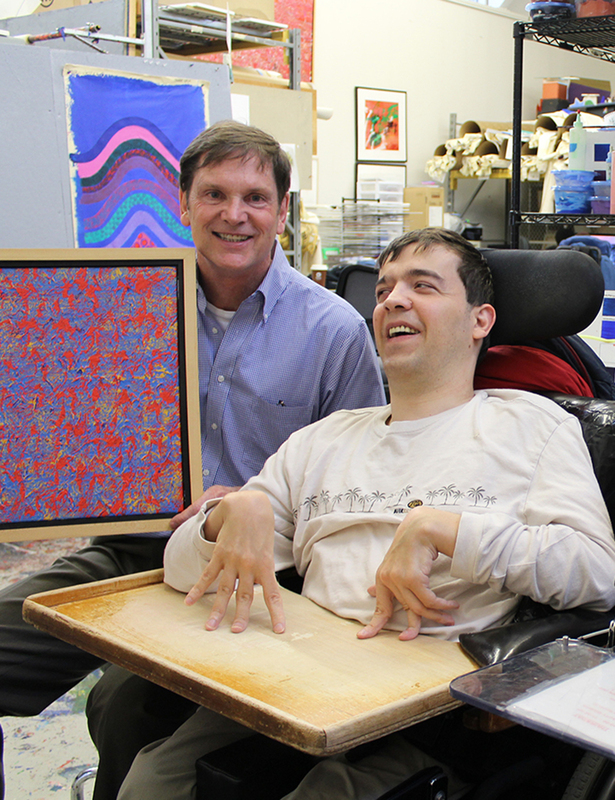 Tim Peters with TJ Christian and his untitled painting. This entry was posted in Uncategorized and tagged Arts Access, Matheny Matters, Tim Peters. Bookmark the permalink.